From its early days as a rural corn hall, built by subscription from local people, through its various incarnations as an exhibition hall, market, cinema and pool hall – through the years of neglect, the building has been tucked away behind the high street. Now as an internationally known arts centre we want to ensure that its origins are not forgotten. The Stowmarket Corn Hall was built in the Market Place in 1835 at a cost of £3,000 raised in £25 shares. It was officially opened on the 13th of July 1836. It housed the town’s Assembly Rooms and, as well as agricultural trading on market days, the building was also used for public meetings, concerts and travelling theatrical performances. According to English Heritage, the current Corn Hall was added between 1860 and 1870. It was designed by Frederick Barnes an Architect based in Ipswich. Prior to World War 1 the Corn Hall saw many Empire Day Celebrations. Following the war, it was used to honour the local men who fought, were wounded or had died. In 1925 it became part of the Provincial Bank with a separate entrance to the Corn Hall through the bank. During World War II it was used as a British Restaurant where people could buy meals cheaply during rationing. The Corn Hall was a hive of activity in the 1950’s and played host to many events including displays by The Boys Brigade, indoor markets, trade exhibitions and recitals. It continued its main business as a Corn Exchange until December 1966. It then had various uses, most noteably as a Cinema and Pool Hall until it was bought by Stowmarket Town Council in 1995. Following essential repairs, it stood empty for many years whilst its fate was decided upon. Our project started as a Community Safety initiative by Mid Suffolk District Council in 2009. Early consultation showed enthusiasm for the community to play a bigger role and identified the potential for the project to develop as a tribute to John Peel, who lived locally. John Peel was a much loved member of the community and always gave support to worthwhile local initiatives. He was renowned for encouraging new music from unlikely sources and for many people he embodied the ‘punk’ ethos of people just doing it for themselves. John’s wife, Sheila, is Patron and a Director of the Centre. The restoration of the John Peel Centre for Creative Arts was carried out in three phases between November 2010 and February 2013. All phases were completed within budget and was funded through grants, fundraising events and the generous donations of many people. 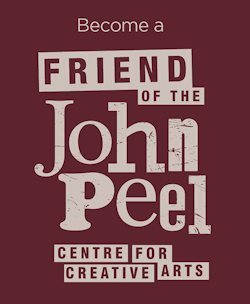 The John Peel Centre for Creative Arts is a non-profit, community-centric, organisation. 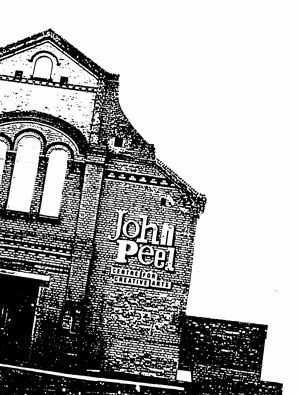 Ethical, ecological, and community-owned, our reason for existing is to improve the Arts-based facilities available to our community and provide a lasting tribute to the life and work of John Peel.